Directorate of Technical Education (DTE), Maharashtra confirmed about the publication of MBA/MMS Combined Entrance test (CET) results on 25th March 2015. Candidates can check the results at 5 pm on March 25, 2015. 57,000 candidates appeared for the MAH MBA CET 2015 exam and it is time for the results of your hard work. Candidates can check the results from the official website of Directorate of Technical education (DTE). MAH MBA CET exam was conducted on 14th and 15th of March 2015 and results will be declared on 25th March 2015. We provide you quick links to check the results below. Check the results without and hang or stuck in the website provided below. So lets check out the results link and details for DTE Maharashtra MAH MBA CET 2015 below. So all are waiting for the DTE Maharashtra MAH MBA CET Results 2015. Results will be published on 25th March 2015. Check out the link to check the results below. Note: Results will be announced at 5 pm. Stay tuned or bookmark this page. How to check DTE MAH MBA CET 2015 Results? 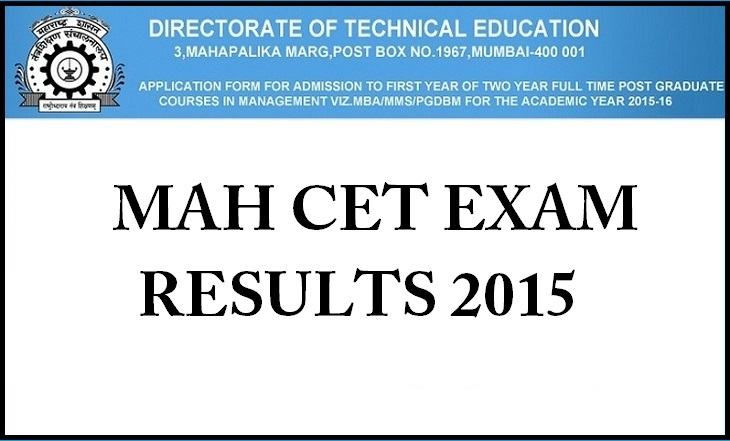 Just follow the steps and get your results of DTE Maharashtra MAH MBA CET 2015 below. * Open your browser and take the official website of DTE Maharashtra here. * Keep your Roll No and Date of Birth ready and input in desired fields. * That’s it, your result will appear on the screen and you can take print out or save it on your PC.